Run out of your favorite hair products?, need to restock before your next visit to the salon? We have just partnered with ‘ShampooHQ’ to sort out all your product needs from the salon between visits, delivered to a location of your choice. Any products used and recommended during your service are available for you to TakeHome from our in-salon shop. Looking for a Paul Mitchell® product we don’t stock or a larger size? No problem! 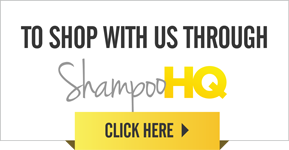 You can now shop online with us on our website through Shampoo HQ. Speak to your stylist about registering, allowing you the flexibility to shop online between visits and have your product delivered to your chosen destination.